This one is for my sister in law who wanted to learn to make cinnamon ornaments — it’s so easy and is a great project to do with kids! Use a pencil/chopstick/dowel/straw/whatever to make a little hole in each ornament for hanging. Knead the scraps back together and roll it back out again to use as much of it as possible. 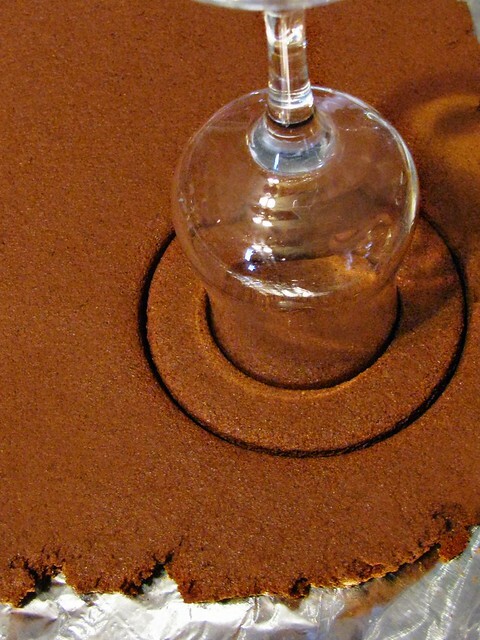 Keep dusting cinnamon on your rolling pin as needed to avoid sticking. 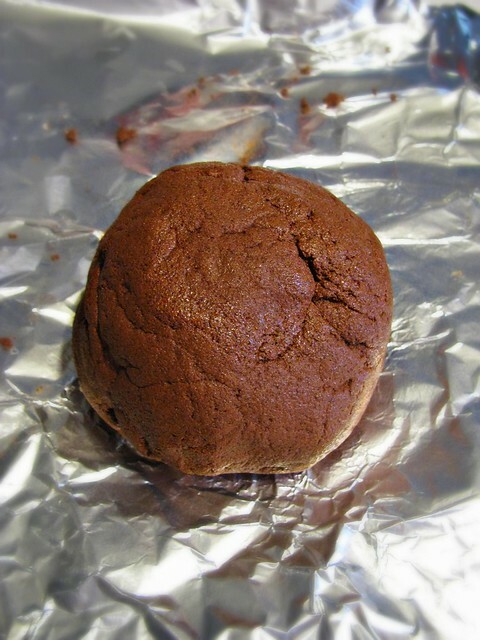 Transfer them to an ungreased cookie sheet. 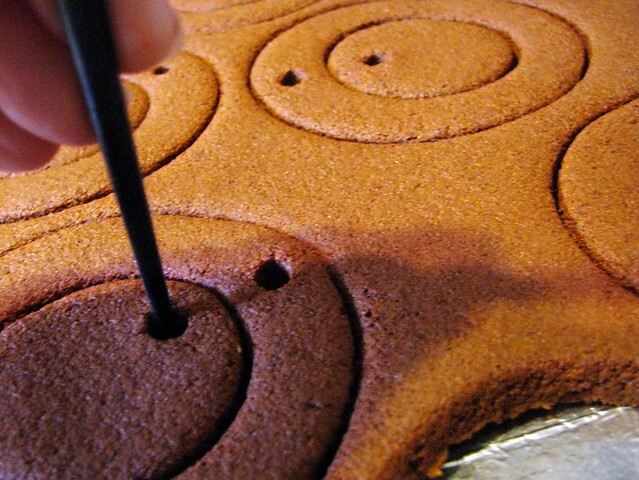 You can either leave them out for a couple days until they dry, or bake them at very low heat (200F) for several hours. When they’re completely dry, they’re ready to use. 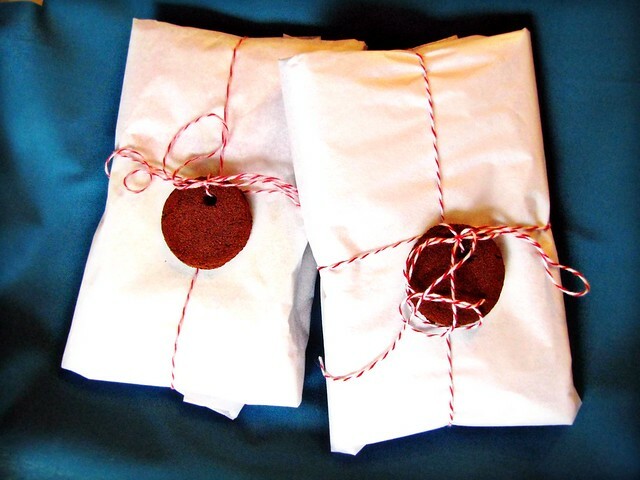 You’ll end up with wonderfully scented ornaments for your tree or package tie-ons! 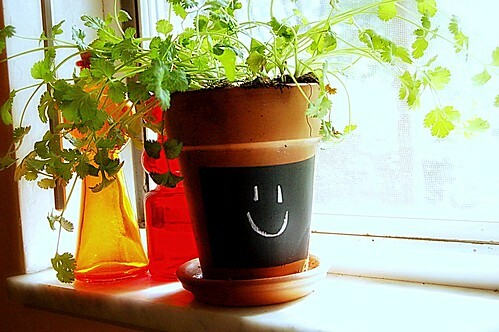 Transforming a plain terracotta flower pot using a little tape/primer/chalkboard paint makes for a very happy little cilantro! I think I’ll use a few more chalkboard pots so that I can label my little seedlings, then change the look of their pots as they grow more recognizable. It might be more fun with the entire pot painted, don’t you think? And just imagine how kids would love to start their own seeds, then scribble words of encouragement to their tiny plants as they grow! It might be fun to line a walkway before a party with congratulations and words of welcome hidden among beautiful blooms. As it is, I’m going to leave my happy little cilantro and a piece of chalk in the kitchen window and wait to see what it becomes next. 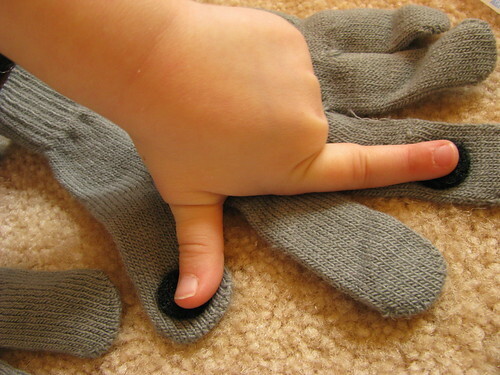 If you anticipate having a bored child at some point this winter, it’s a good idea to have a stash of knit gloves, Velcro dots and practice golf balls hidden away. I took these along when visiting with my tiny nieces and nephew at the holidays, and they helped me with these pictures. 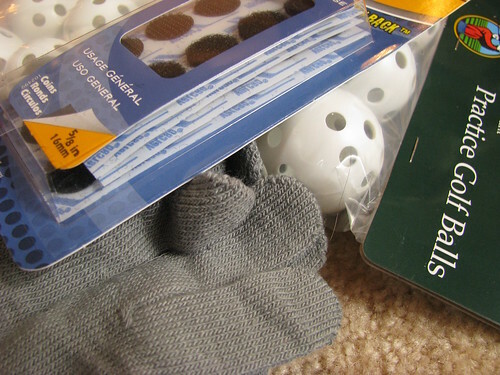 You don’t really need the softer Velcro dots on the gloves, but the kids will probably like sticking them on. My little niece really enjoyed this part. She put her hands in the gloves to see how far up she needed to put the dots, and then imagined herself much bigger and put the dots way above her fingertips. The gloves themselves will work as the soft Velcro to catch the balls, so no correction was needed. Let them imagine big grown up hands, it’s all good. When it’s time to play, it’s better to just use one glove to catch and keep one hand glove-free to pull off the ball and throw back. Tell them it’s like baseball, you just wear one. Suddenly they’re WAY better at playing catch than they’ve ever been before! 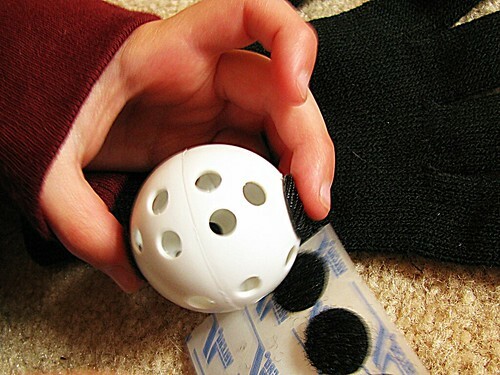 All you need to do is toss the ball to their hands and it will stick. Catch played this way helps younger kids and older kids to play together with much less “can’t catch” drama. 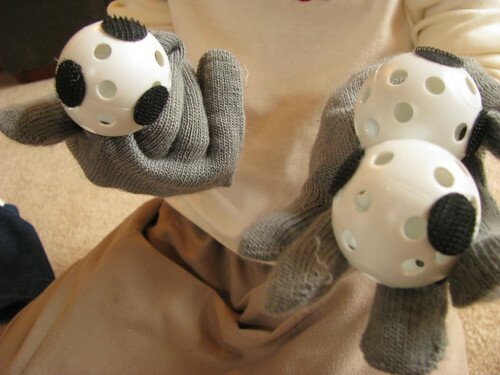 My sports minded brother in law noticed that gloves made it easier to catch the “right” way, either over or underhanded, and thought it would help in their sports development. I just liked having quiet craft time with a group of small kids of different ages, and they ended up with self-made toys they could keep. This craft was a winner all the way around! 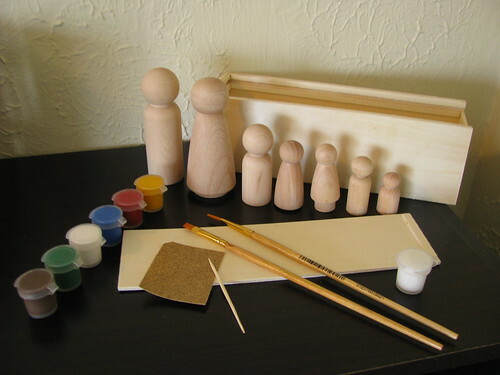 I purchased this little unfinished wooden family from Goose Grease Undone as a Christmas gift for my brother and sister in law’s family. They’re home schooling, and I thought this would make a creative art project and keepsake to let each of the kids paint their own self portrait. It will be interesting to see the details the different aged kids see in themselves, and even a messy, multicolored little one would be absolutely adorable. 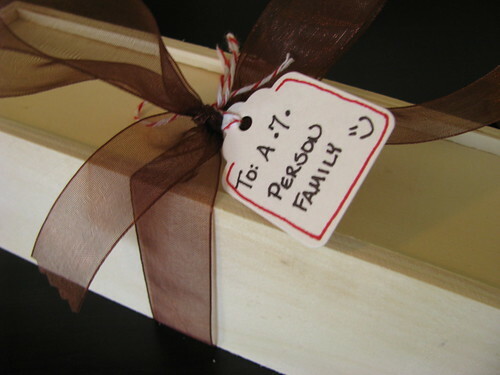 The kit comes in a wooden box that makes gift giving easy – I added a ribbon and a tag and it was ready to go! 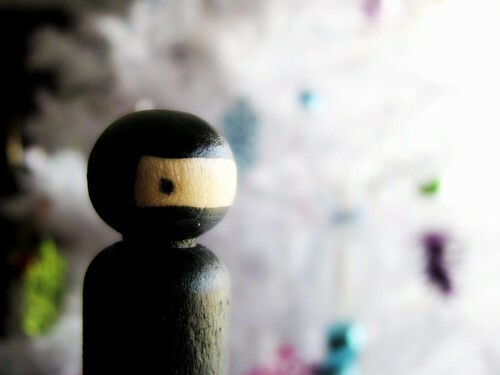 Who knows, maybe one of them will see themselves as a ninja. 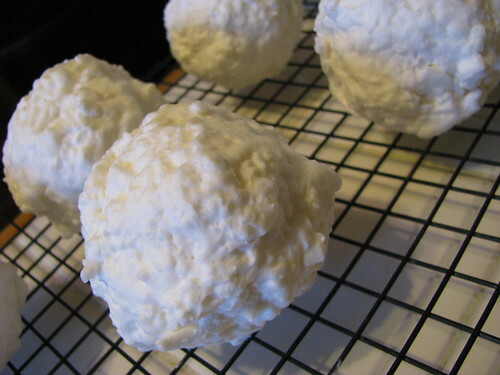 Snowball soap is a quick easy craft to do for or with children. (I’ve also given snowball soaps to adult friends who seemed to like it.) Start with bars of soap, one bar for each snowball you’d like to make. Use a cheese grater to shred the bars. 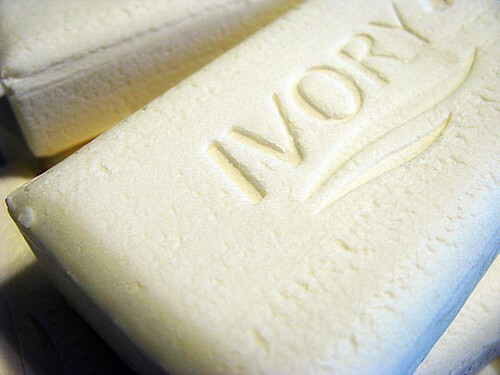 I like Ivory because it’s less dense than most soaps and grates so easily. (This part should be done by an adult or a careful older child.) Looks like cheese, doesn’t it? Add water, a little at a time, and stir it around with your hands until your soap foams a little and is easy to form into balls. 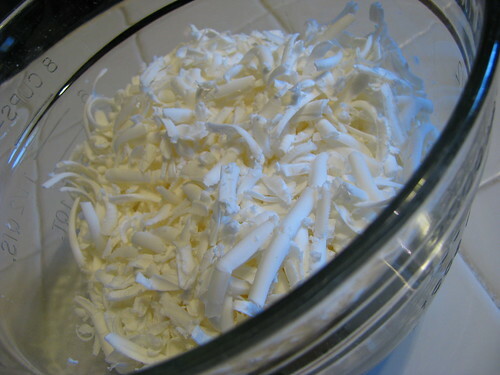 You can make plain snowball soap if you like, but if you want to add a little extra fun (or encourage the kids to wash their hands more often), you may want to add a little prize. 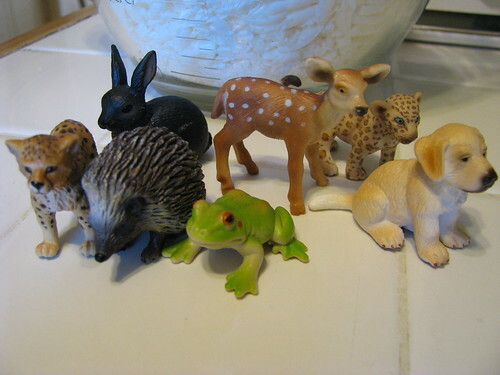 Little balls work well, of course, but I like to hide little toy animals or dinosaurs inside. I found these at Tractor Supply. They were a little more expensive than what I might have found elsewhere, but the models were so well made I couldn’t resist. Form the shape of a ball with your sudsy, shredded soap, starting with your little prize if you want to add one. Then set them out on a rack to dry, which may take a day or so. 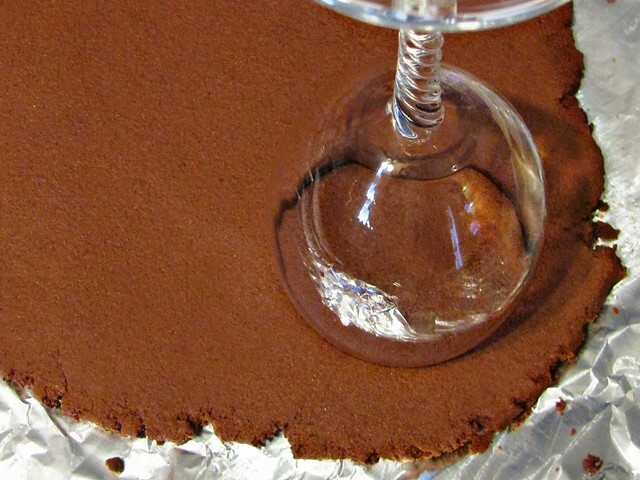 If giving them as a gift, once they’re dry you can wrap them in plastic wrap and tie them with a pretty ribbon. This is an easy, inexpensive gift for kids to make for friends, classmates and relatives – and since it’s soap it’s a really easy craft to clean up after.